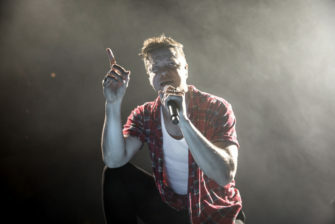 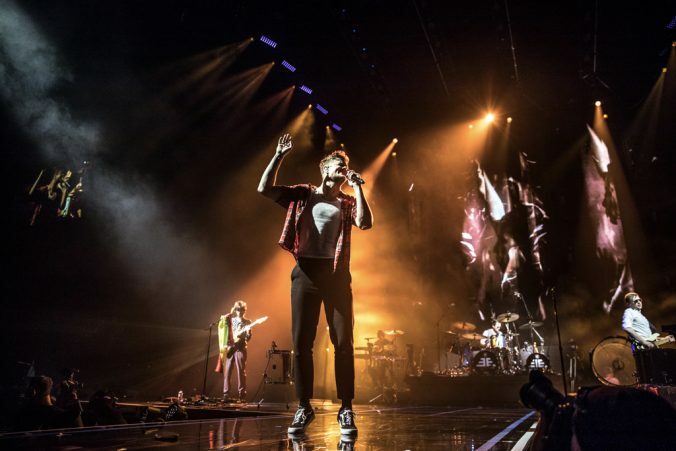 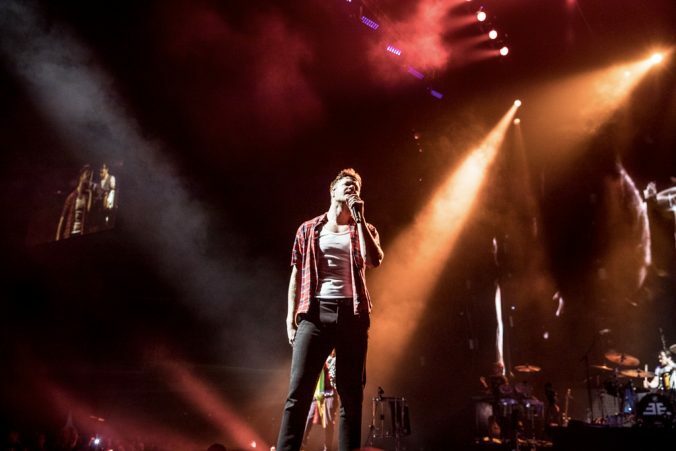 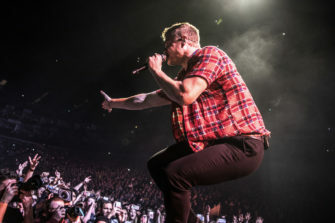 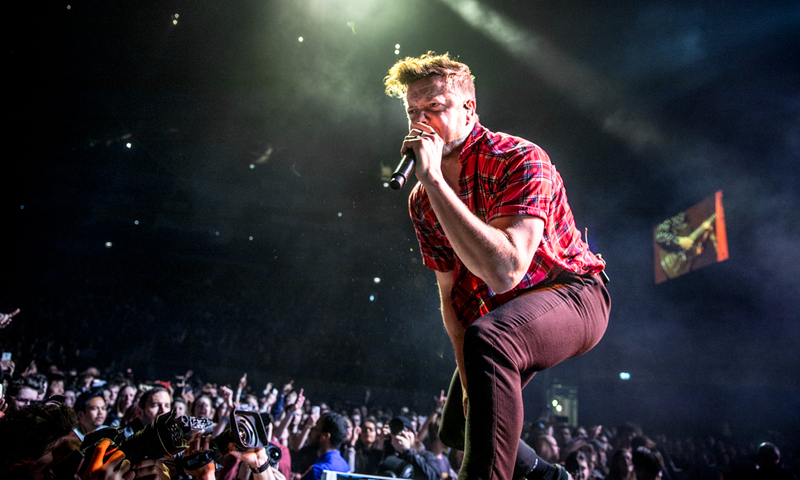 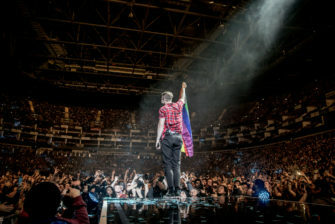 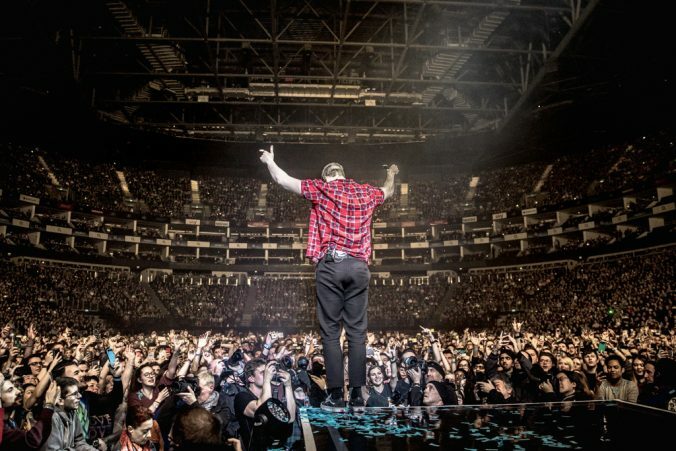 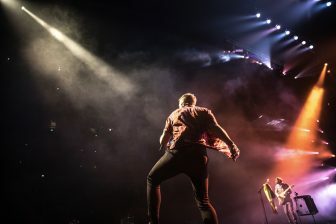 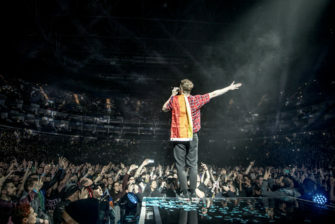 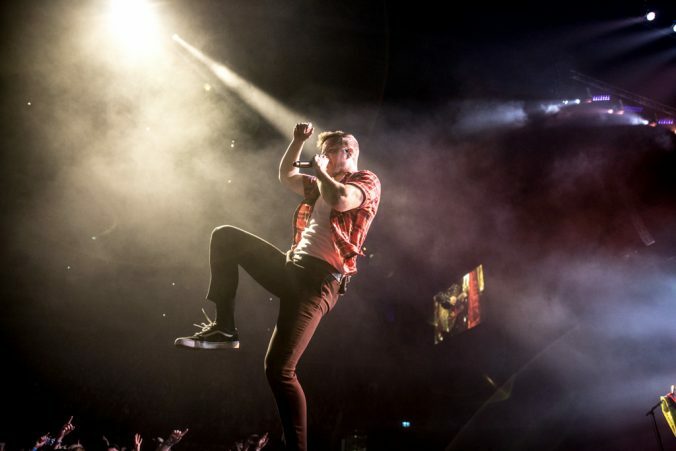 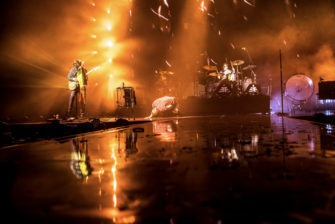 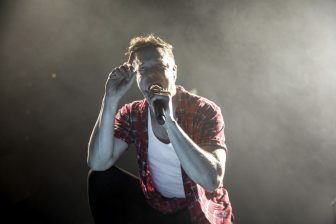 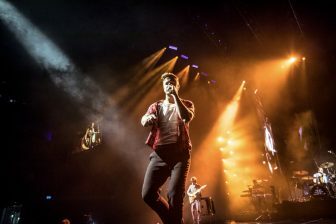 Of all the concerts Imagine Dragons have played in London since 2012, tonight clearly stands out for their energy, authority and involvement in social causes. 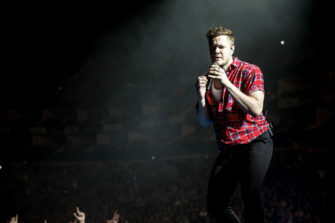 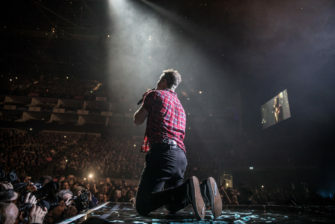 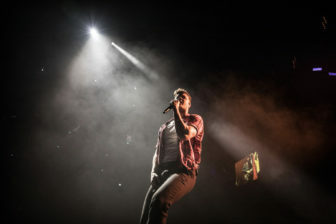 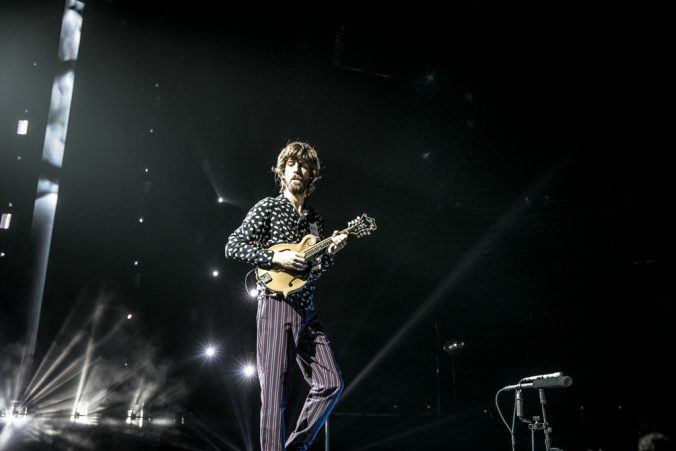 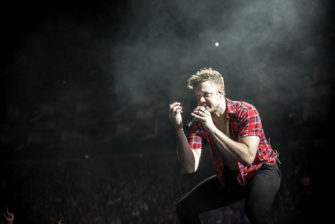 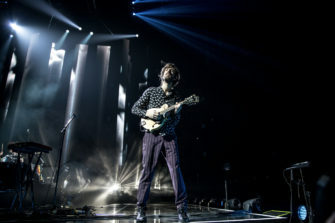 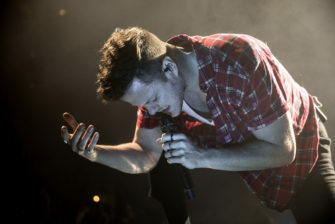 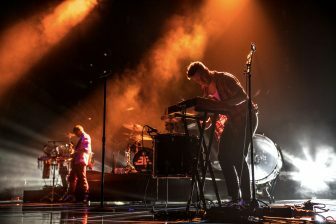 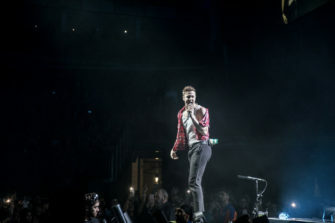 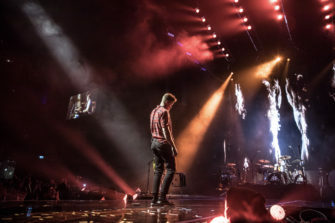 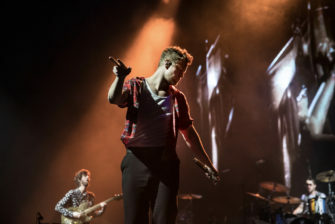 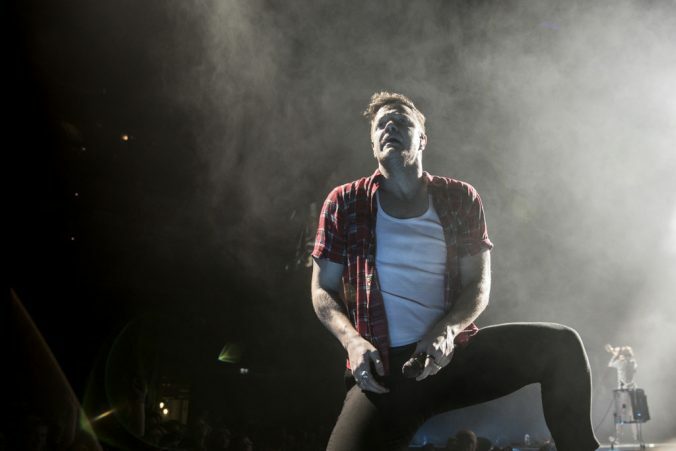 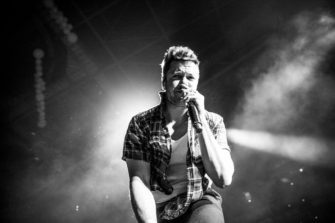 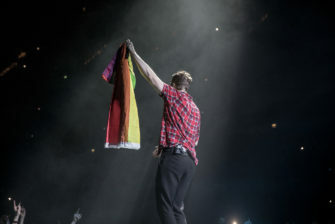 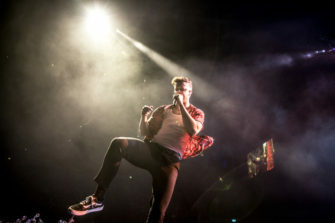 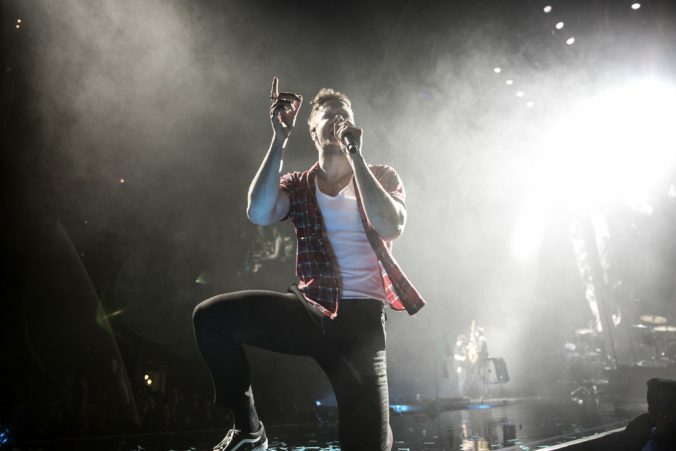 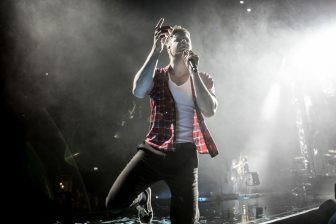 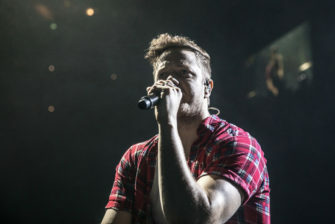 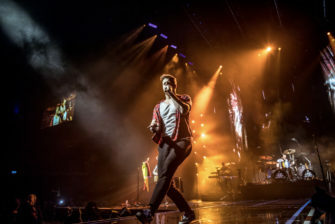 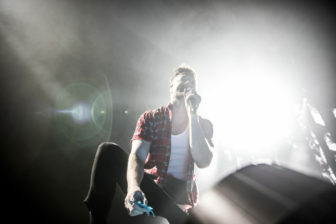 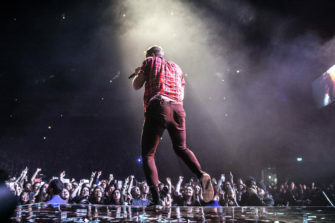 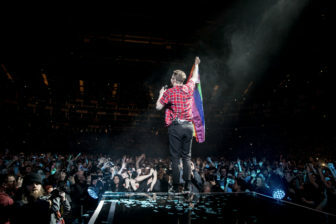 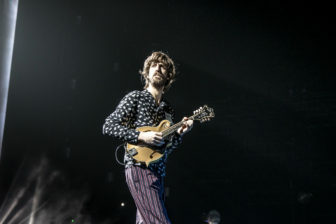 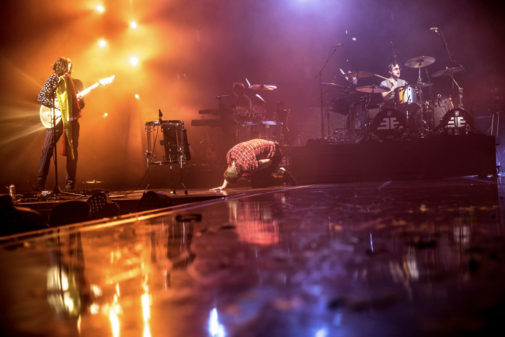 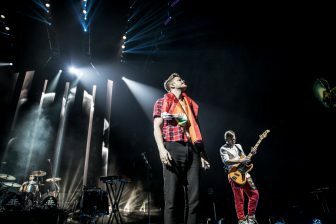 The meaning of their latest record, Evolve, is further explored through a series of videos which are played every four or five songs. 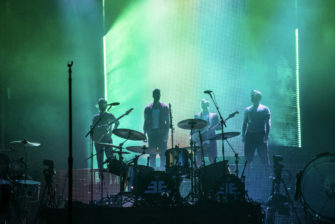 In particular, the first one retells the events leading to the origin of life on Earth, stating that there’s no explanation yet – connecting to the opener I Don’t Know Why. 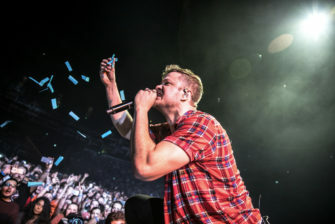 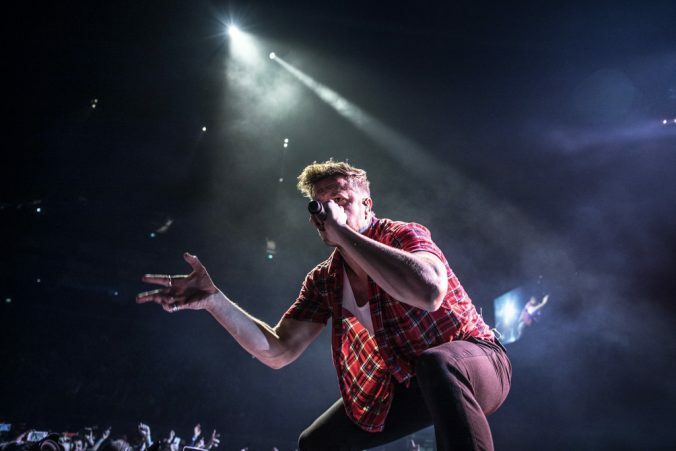 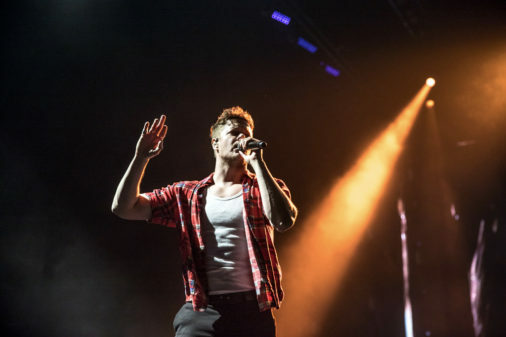 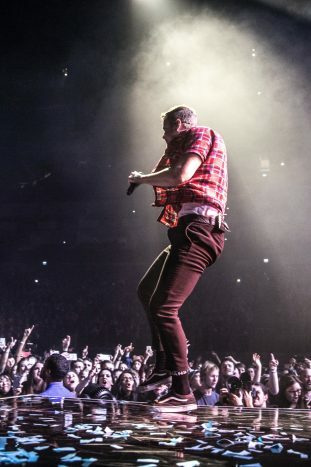 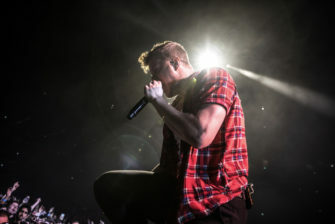 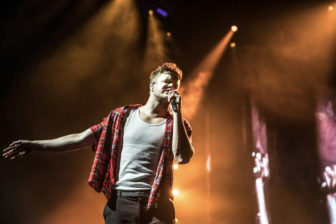 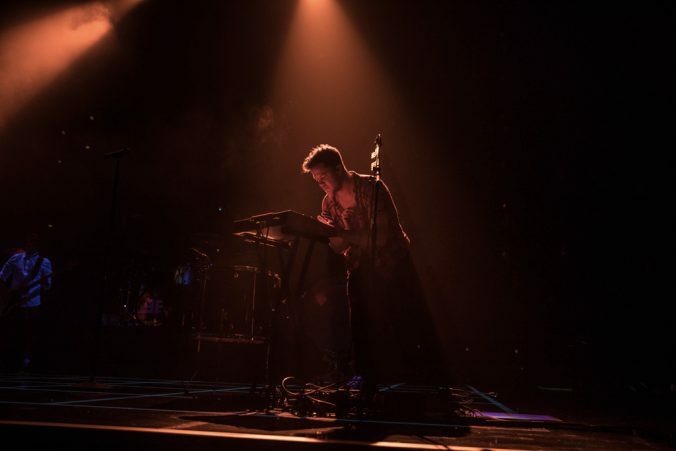 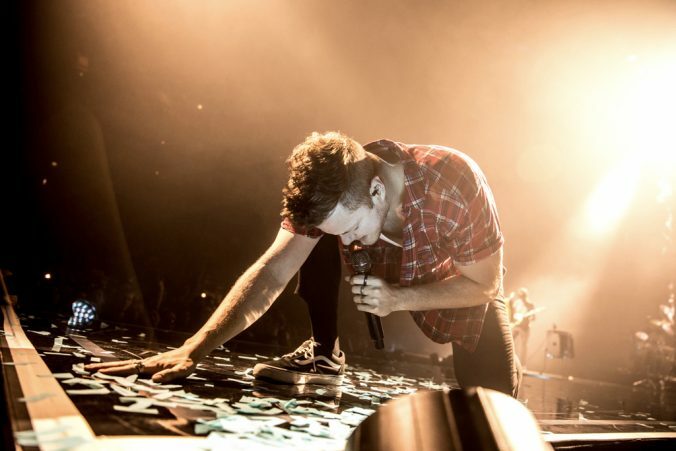 Dan Reynolds is more confident than ever before; venues of this size are now Imagine Dragons’ playground. 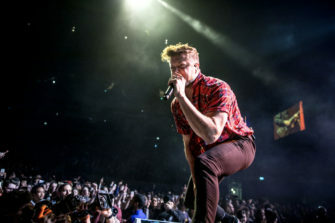 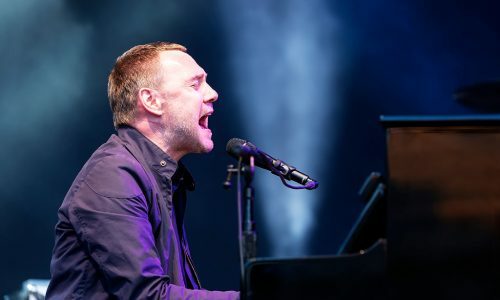 After a prolonged, admirable speech in favour of gun control – and an inspiring rendition of It’s Time – the frontman delivers Gold with unprecedented intensity. 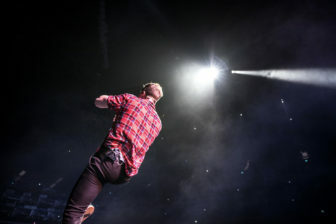 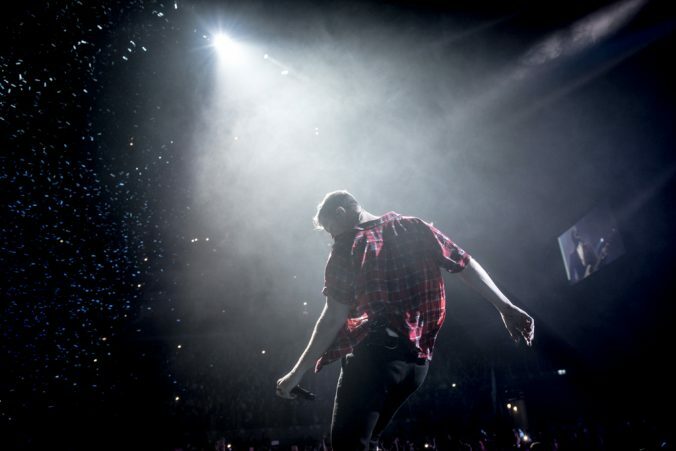 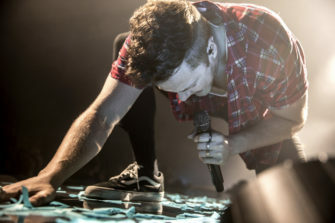 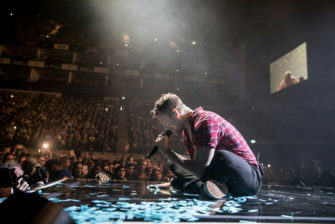 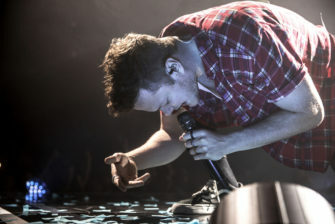 The way he moves on the stage is remarkable, and his juvenile fans fully embrace it. 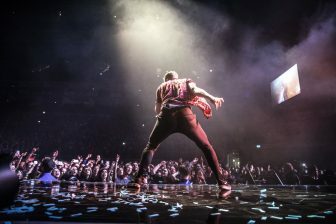 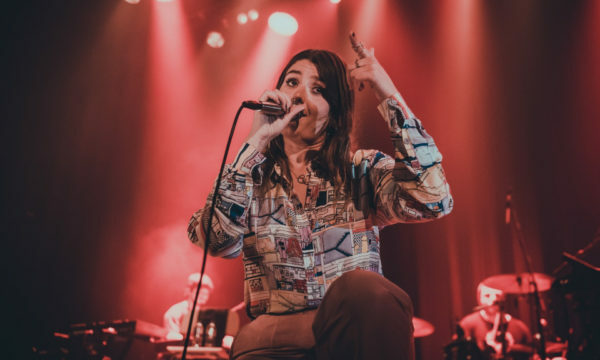 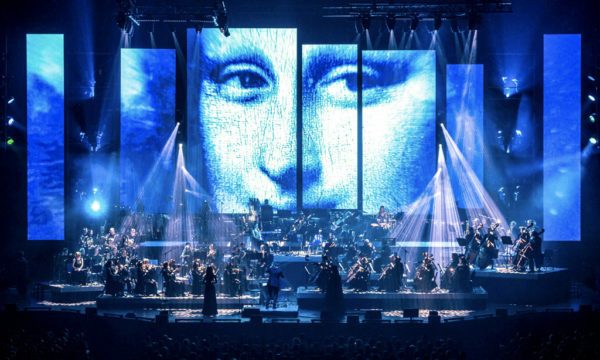 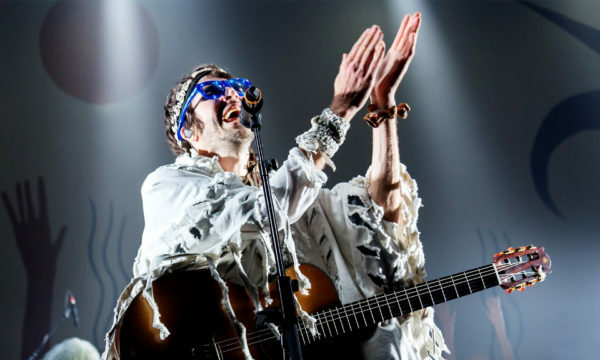 In an era where rock music fails to achieve what it used to – commercially and culturally – it’s comforting to see a relatively new guitar band appealing to younger audiences. 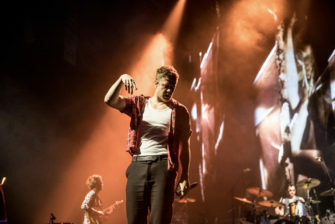 If the second album wasn’t as smooth and finely written as the debut, the same couldn’t be said of Evolve. 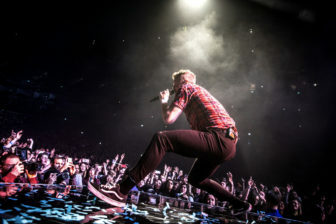 Songs such as Rise Up, Mouth of the River and Walking the Wire are a pure joy to listen to; especially with the energy that only a solid live show can convey. 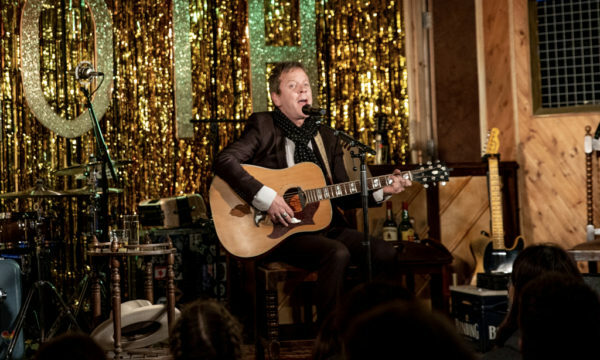 The singer introduces I’ll Make It Up to You joking about how he used to steal his brother’s microphone – clearly upsetting him; however, he did make it up to him because he’s now Reynold’s manager. 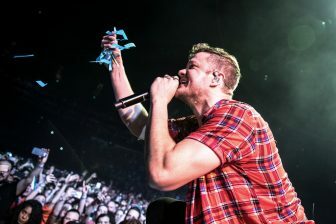 Whatever It Takes, Thunder and I Bet My Life (in an even more Mumford & Sons-like semi-acoustic version) ignite tonight’s crowd. 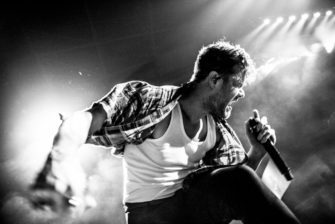 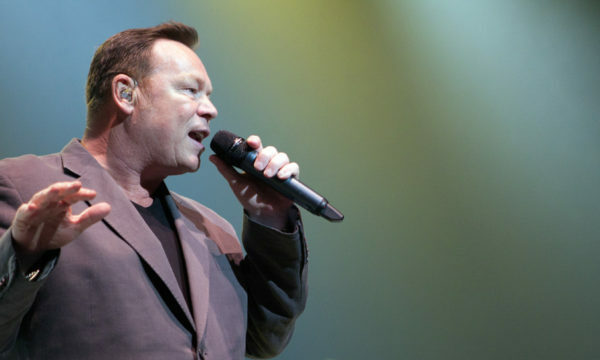 The frontman takes another moment to talk about something very serious – depression – opening up about the day he was diagnosed with it. 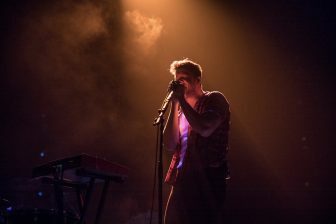 He shares a really heartfelt, genuine recollection of memories of that time when he thought his mind was broken, but then recounts how he turned to the arts and a therapist who is still looking after him. 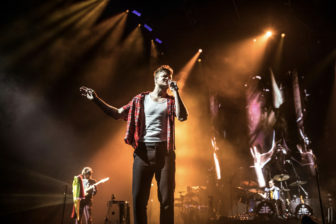 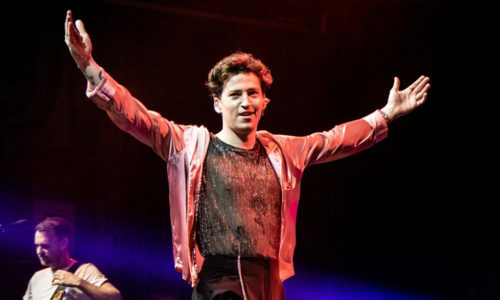 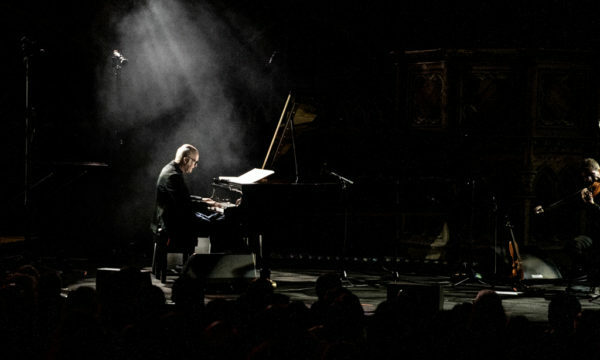 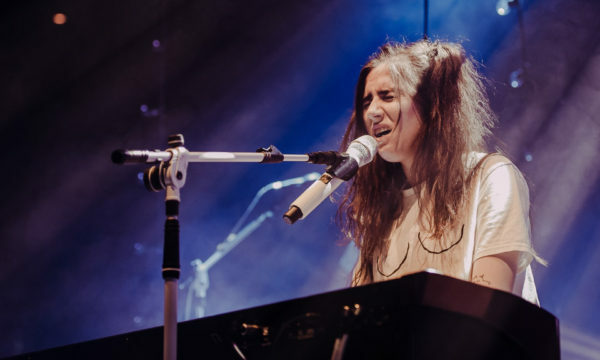 Someone from the front row passes him a cardboard sign with “I have a therapist” written on it, which he proudly shows to the Greenwich arena before singing one of the four-piece’s biggest hits: Demons. 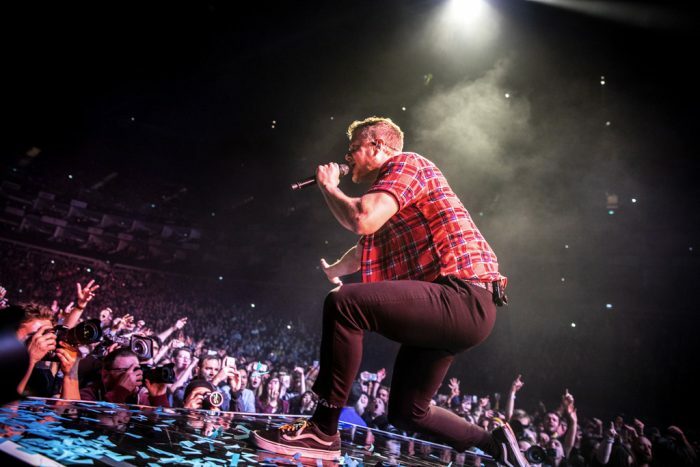 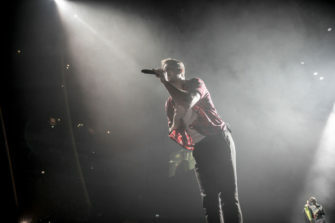 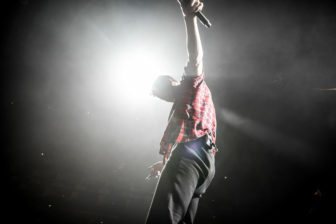 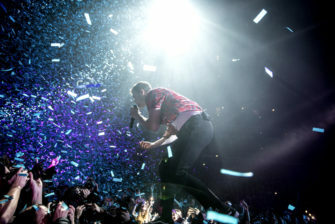 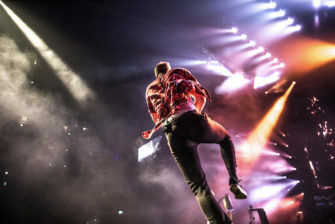 For further information and future events visit Imagine Dragons’s website here.